Host a simple yet elegant pre-wedding function or reception at Sterling Suites Hotel which is based in Bangalore. 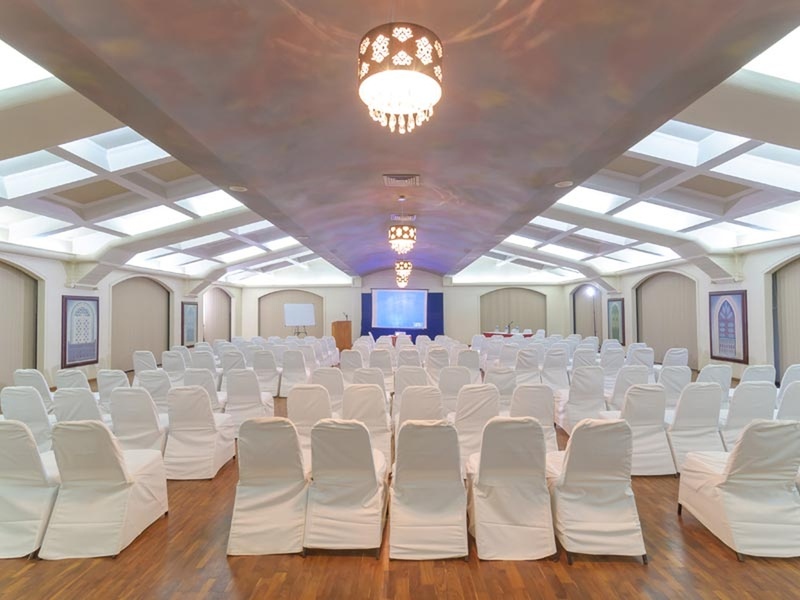 The compact hall is perfect to host an engagement, mehendi or sangeet function and even a private wedding reception. It is a beautiful hall that allows you to bring your choice of decorators and caterers for a more personalized touch. 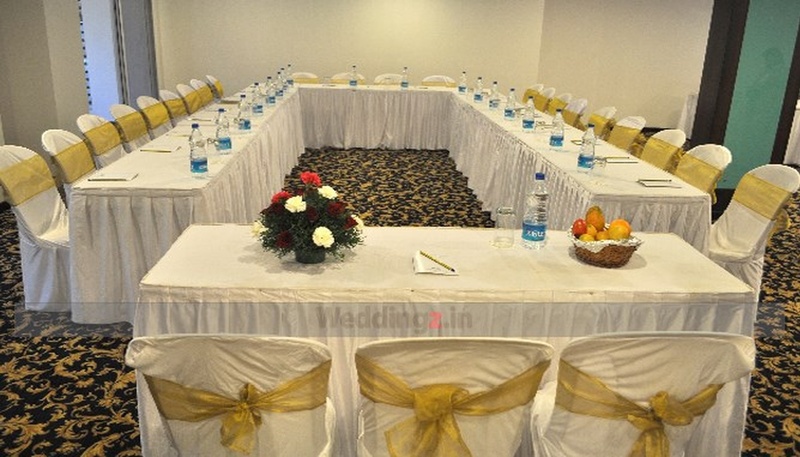 The Sterling Suites Hotel located in Bellandur, Bangalore has Wedding Hotels, Cocktail Venues and Banquet Halls. Tycoons can accommodate upto 70 guests in seating and 150 guests in floating. Vegetarian food is served at this venue. Features of this wedding venues are : Food provided by the venue , Outside food/caterer allowed at the venue , Non-Veg allowed at the venue , Alcohol allowed at the venue , Outside alcohol allowed at the venue , Halls are air Conditioned , Baarat allowed , Fire crackers allowed , Hawan allowed , Decor provided by the venue , Packages starts at Rs 450 per plate for vegetarian menu and at Rs 550 for non veg menu.